Learn Filmmaking Together. Create Awesome Together. Great news! GetFilming.com, the online film school and community, will sponsor the New Renaissance Film Festival. Winners will receive a free online course of their choice and a lifetime membership to the school, which will allow them to enroll in all current and future courses. 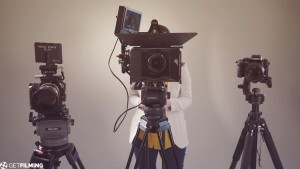 GetFilming brings the very best expert tutors currently working within the Film and TV industries to teach their community of aspiring filmmakers.